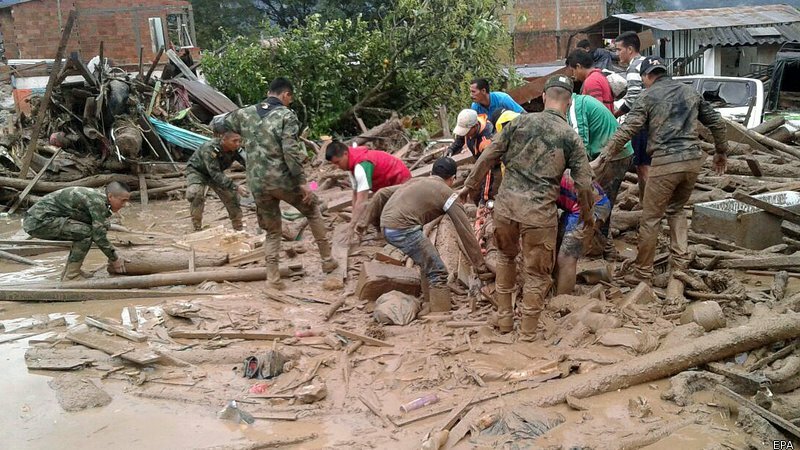 The death toll from flooding and mudslides in the southern Colombian city of Mocoa climbed to 314 on Saturday with 106 people missing, local authorities said on a day when Colombian President Juan Manuel Santos visited the disaster area to see how the humanitarian and infrastructure work was going. 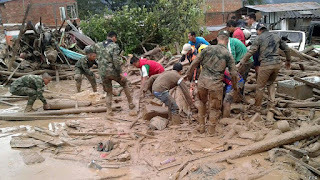 The death toll of massive landslide that in Colombia continues to grow, with country's President Juan Manuel Santos announcing that over 250 people were killed. 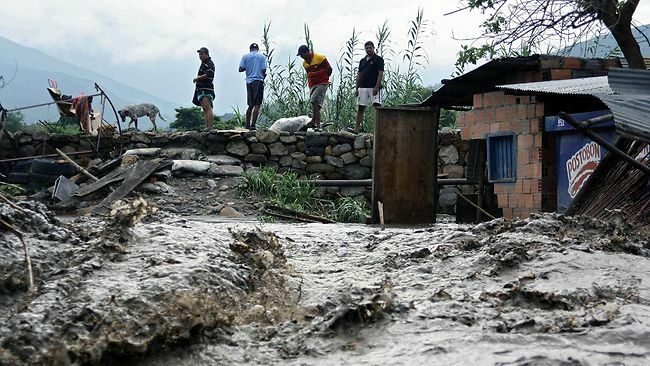 Authorities say 24 people are dead after a river overflowed in Colombia, triggering an avalanche of water that destroyed homes and killed people in their sleep. 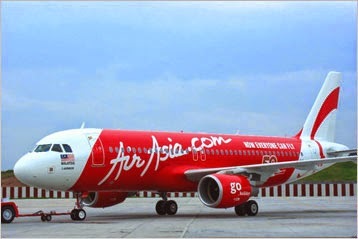 Rescuers have found four large objects in the area of a search for the wreck of a Malaysian AirAsia plane off Indonesia, Indonesia’s Search and Rescue Agency Chief Bambang Soelistyo said on Saturday. 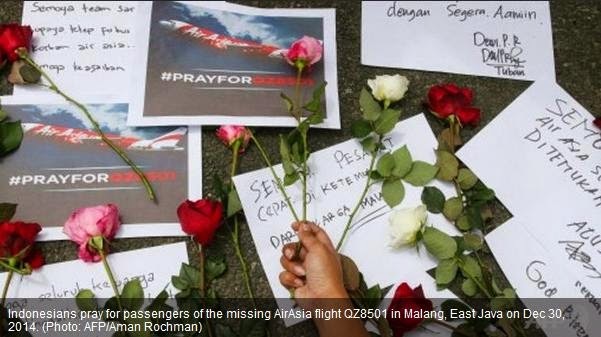 Rescuers have found what supposedly is the fuselage of the AirAsia plane that went missing on December 28 on the Java Sea bottom, a spokesman for the National Search and Rescue Agency of Indonesia said on Wednesday. According to the agency, sonar sea bottom images have shown a large dark object resembling a plane fuselage by its shape. It is supposedly lying at a depth of 25 - 30 metres. 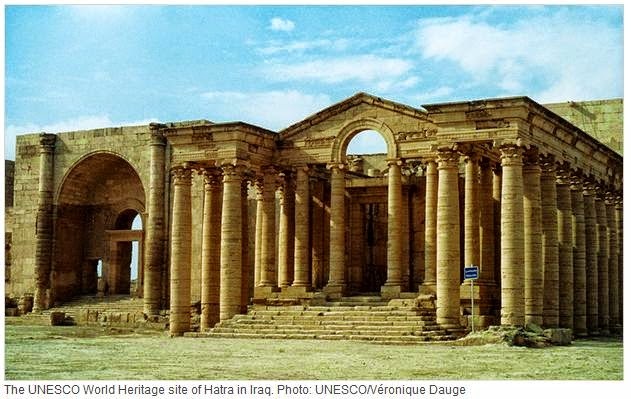 However, the image does not clearly show what damage the plane got and if its body is preserved. 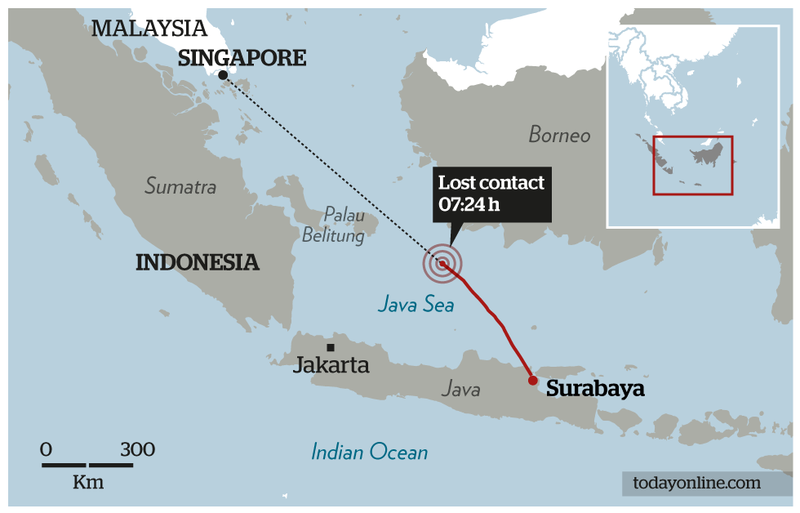 More than 40 bodies have been recovered by an Indonesian Navy ship as crews worked to mark debris and retrieve swollen corpses floating in the Java Sea from AirAsia Flight QZ8501 that went missing Sunday, Indonesian officials said Tuesday (Dec 30). 11 November 2013 – The United Nations Climate Change Conference opened today in Warsaw, Poland, with a call to reach a new agreement to cut climate-altering greenhouse gas emissions during what is seen as a pivotal point in the negotiating process, made all the more urgent by the devastation in Philippines from Typhoon Haiyan. “We must win the Warsaw opportunity,” Christiana Figueres, Executive Secretary of the UN Framework Convention on Climate Change (UNFCCC), told participants at this 19th session. She noted that “the world is ready” and there is a groundswell of climate action, not only for the environment, but also for security, energy, economic and governance reasons. 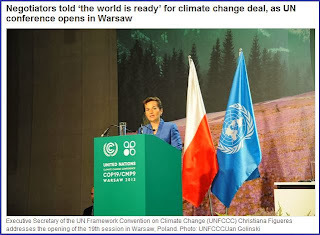 Climate Talks Open in Warsaw. -"We are loosing this unequal struggle of men and nature". "Only two days ago a powerful typhoon swept through the Philippines claiming thousands of lives and leaving hundreds of thousands of people displaced from their homes. A great human tragedy. Unforgettable, painful, awakening. I said awakening because it's another proof that we are loosing this unequal struggle of men and nature that beset us yet again and will continue in the future if we do not close ranks and act together to strike back." 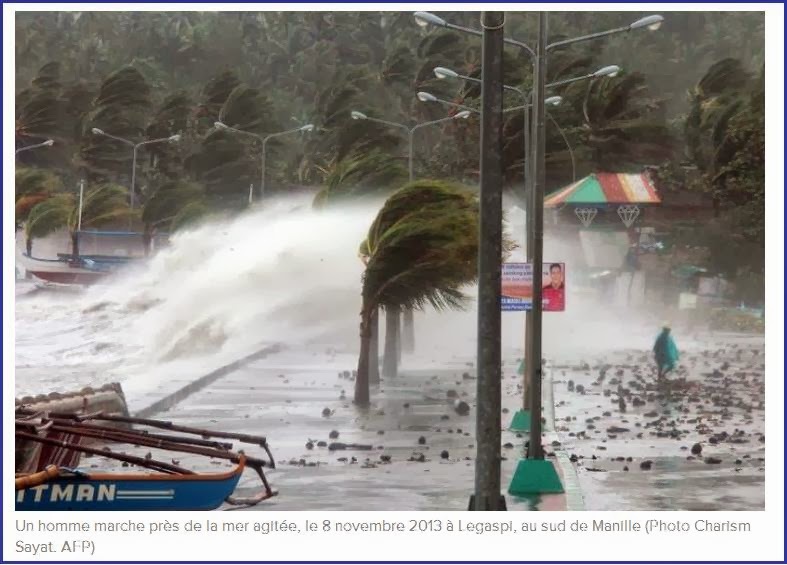 U.N. climate chief Christiana Figueres also referenced the "devastating impact'' of the typhoon in her opening speech. She urged delegates to guarantee greater climate security for the generations to come.